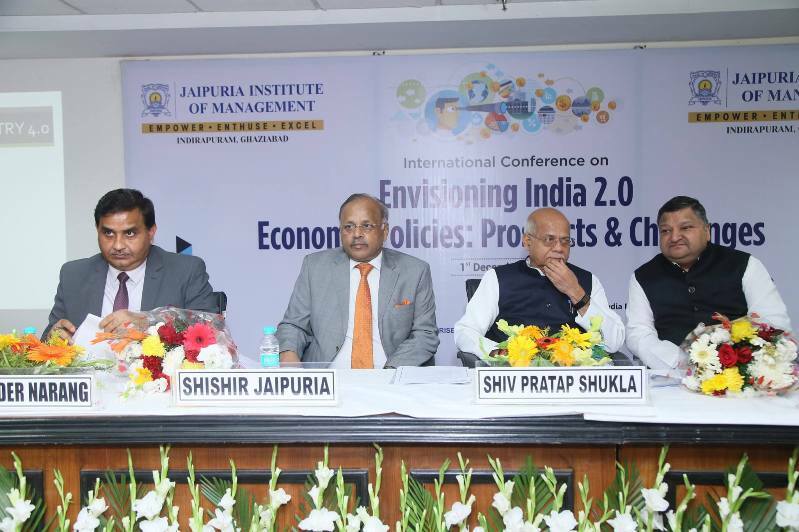 Jaipuria Institute of Management, Indirapuram, Ghaziabad hosted One Day International Conference on Envisioning India 2.0 Economic Policies: Prospects & Challenges on 1st December 2018. 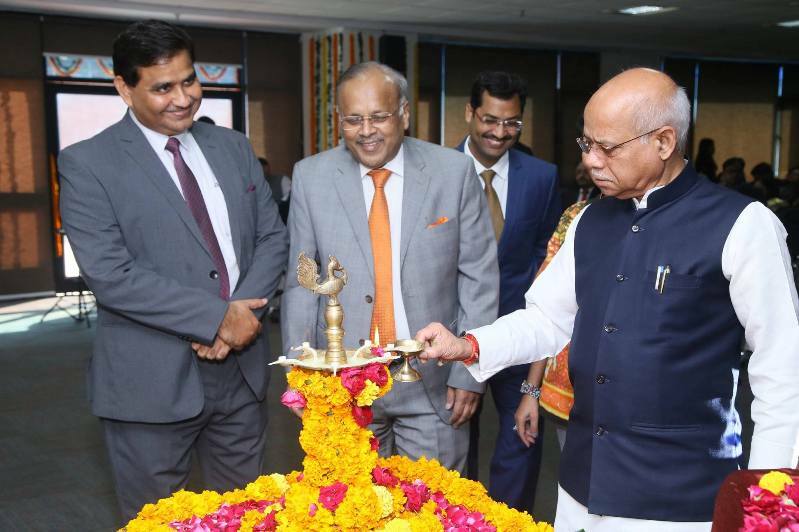 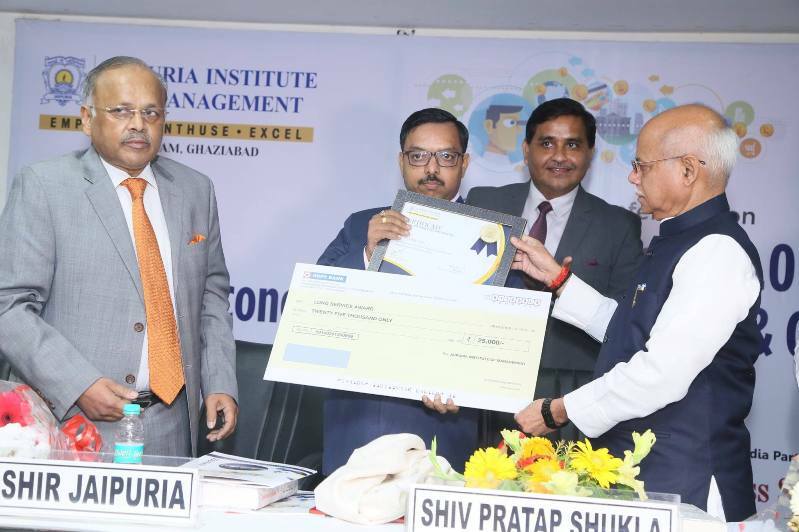 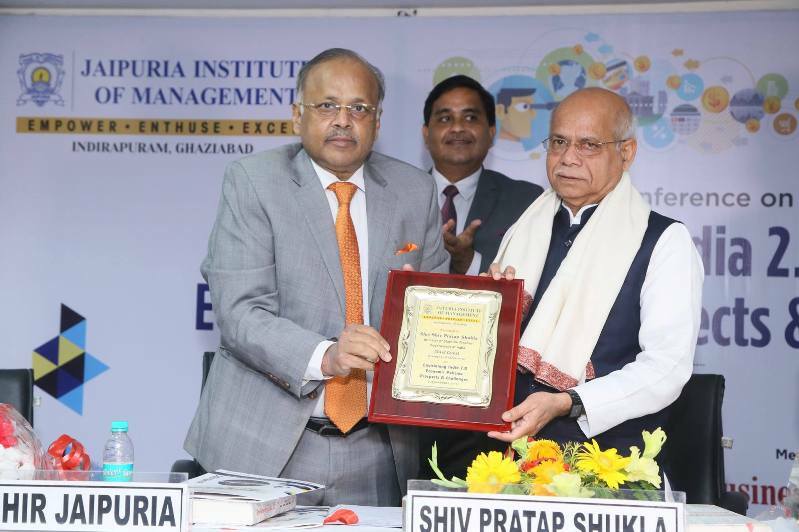 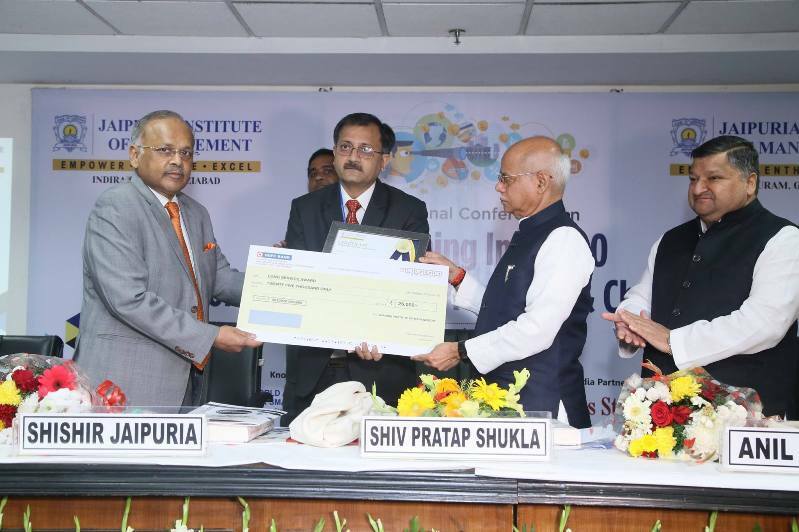 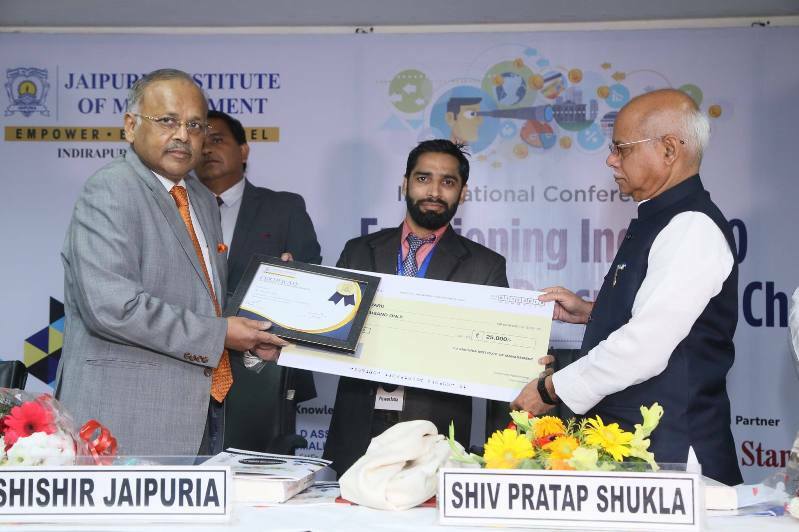 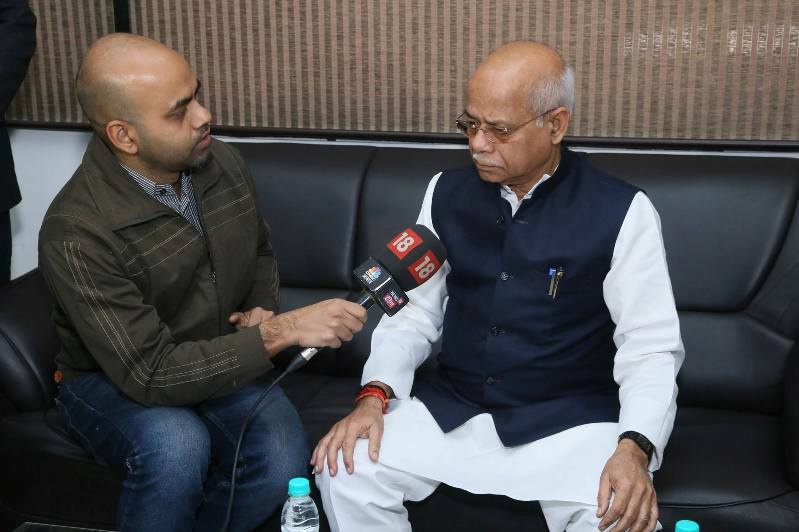 The event witnessed the presence of Shri Shiv Pratap Shukla, Hon’ble Minister of State for Finance as the Chief Guest who enlightened the attendees with his thoughts. 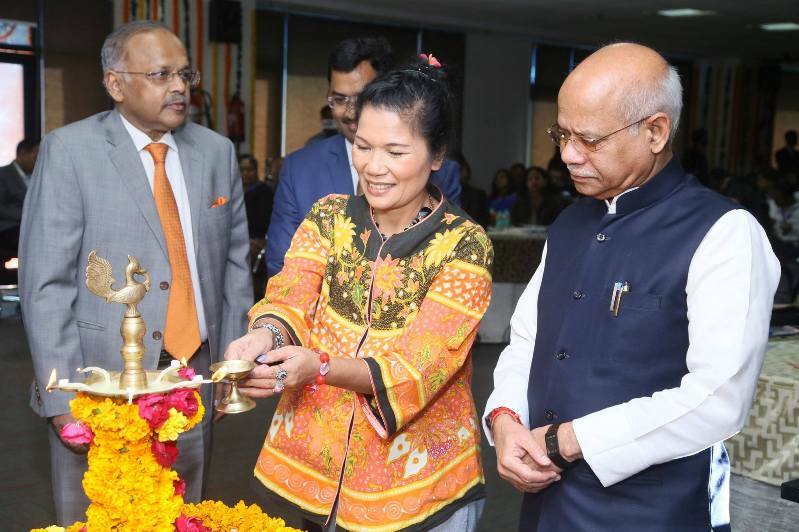 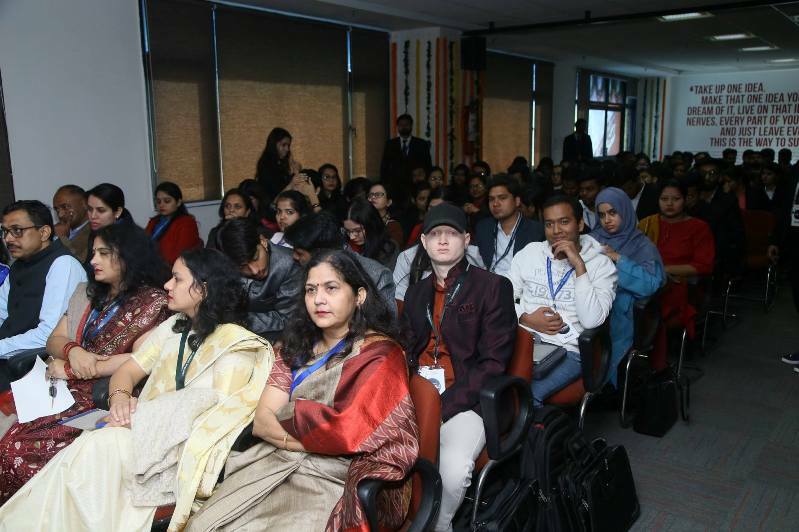 The event was also graced with the presence of Dr. Anil Agrawal, Member of Parliament, Rajya Sabha, Government of India and Dr Hotniar Siringoringo as the Guest of Honor who provided such dynamic and valuable views about the conference topic. 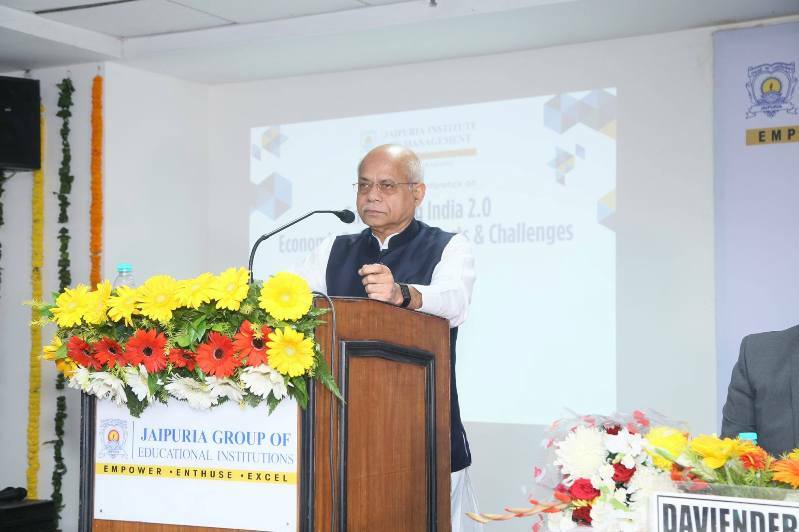 Speaking on the occasion Shri Shiv Pratap Shukla emphasized on the economic development of the country and how the economic growth is throwing challenge to the global markets . 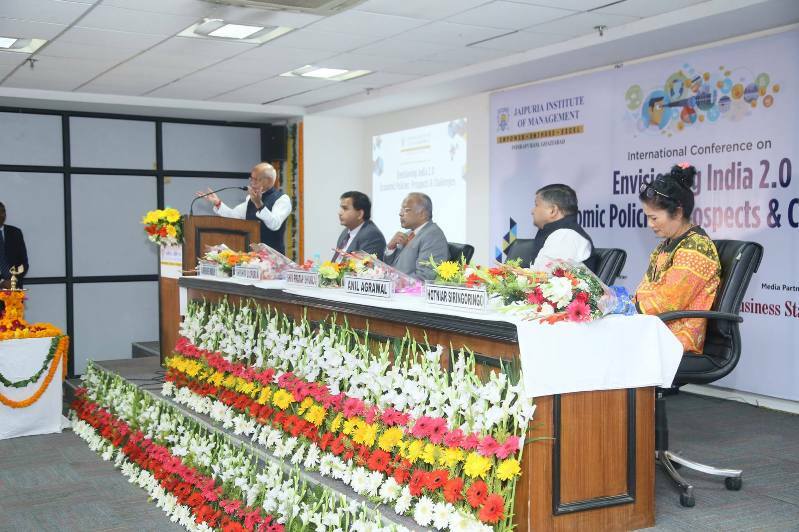 He also laid emphasis on the spreading entrepreneurial opportunities which has taken center stage in the country. 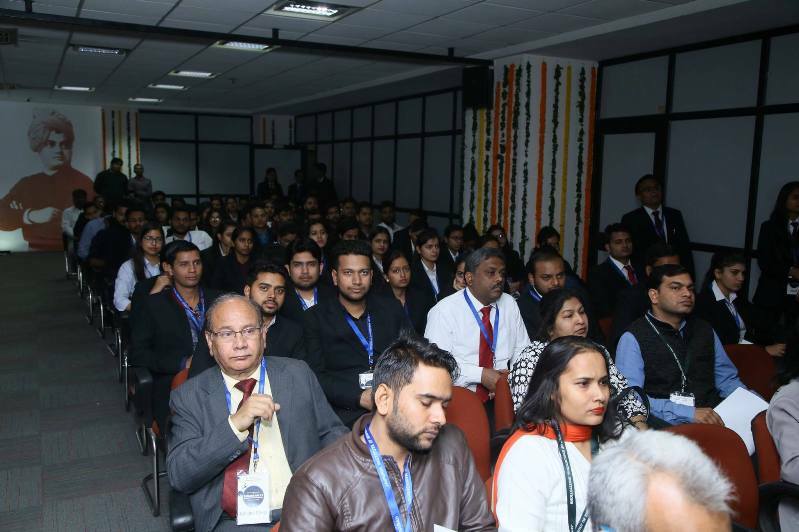 He said the youth today is blessed with new business opportunities which will lead to even further growth. 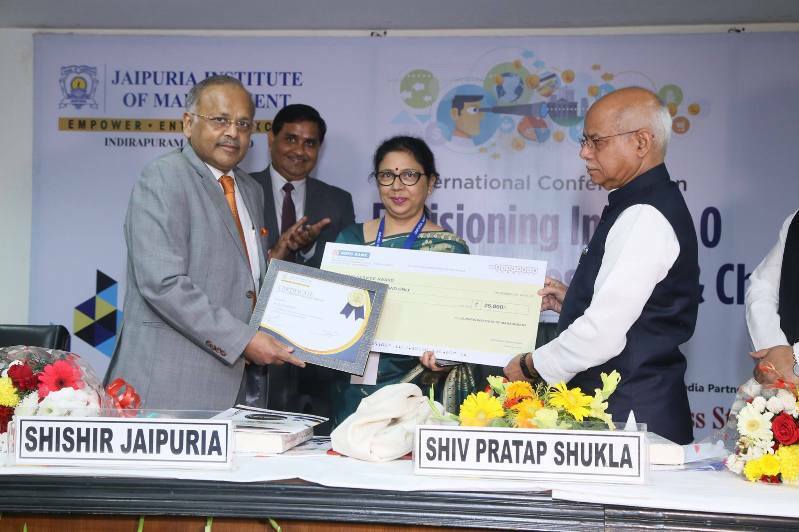 The event was then marked by releasing of Souvenir and the Conference Book entitled with “Envisioning India 2.0: Prospects & Challenges”. 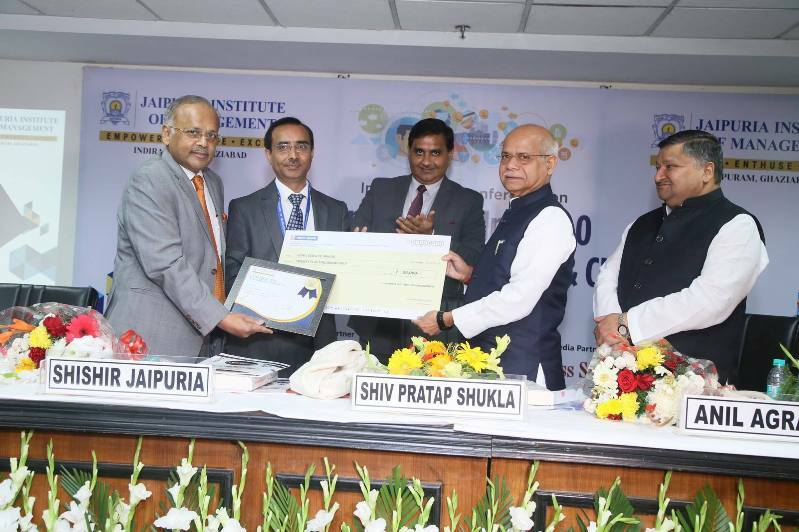 Post the same the employees of Jaipuria Institute of Management were awarded for their dedication and commitment with the “Long Service Award”.